NVIDIA has finally released its latest GeForce Game Ready WHQL driver which enables support for Microsoft’s DXR API on GeForce GTX GPUs. The latest driver was announced last month by NVIDIA at GDC 2019, allowing non-RTX graphics cards to provide users with the ability to render real-time ray tracing effects. 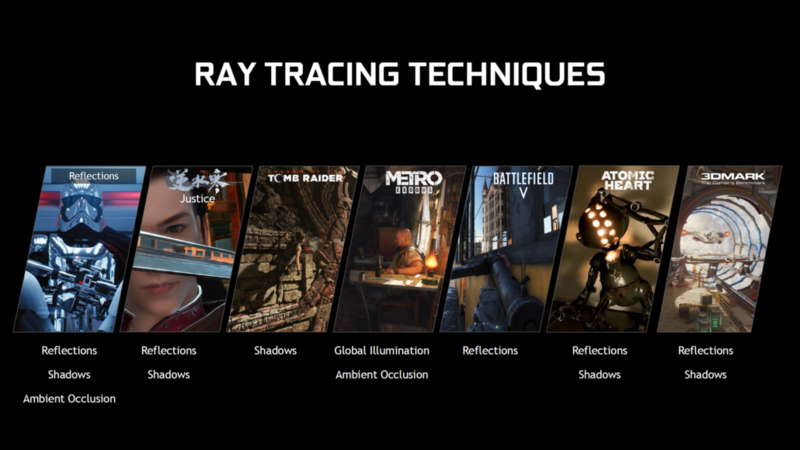 With the driver available now, owners of GeForce GTX GPUs can try out the real-time ray tracing features in some of the top AAA titles. 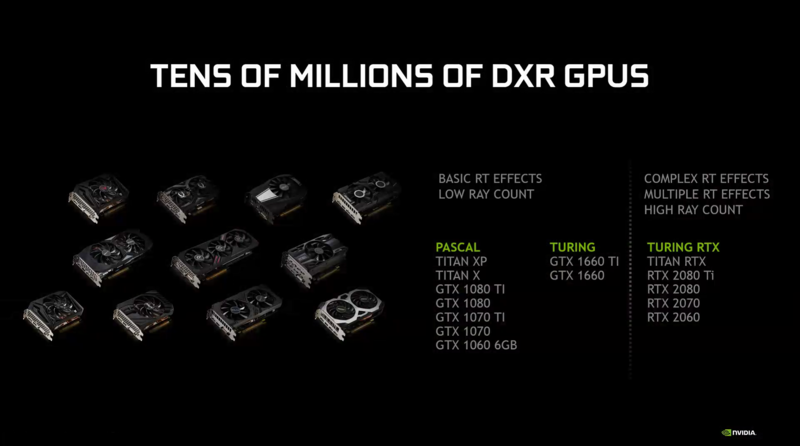 Enabling DXR on GeForce GTX gives developers the flexibility to optimize their games for systems that don’t necessarily have the RTX enhancements on board. 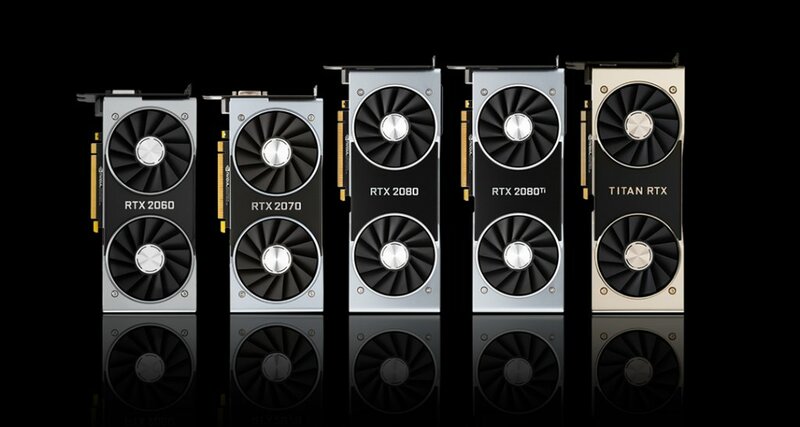 It will also enable wider adoption of the feature which was limited to the GeForce RTX cards till now. Now one thing to point out is that enablement of a feature and having it run well are two separate things. 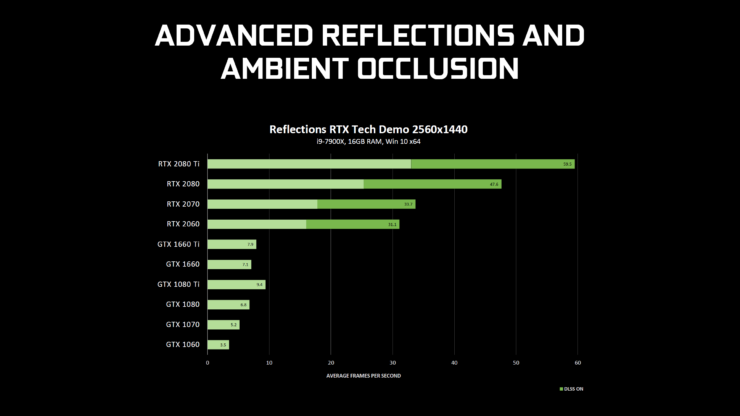 NVIDIA GeForce RTX cards are fine-tuned with architectural enhancements to run RTX features such as Ray Tracing Shadows, Reflections, Global Illumination, and Ambient Occlusion. 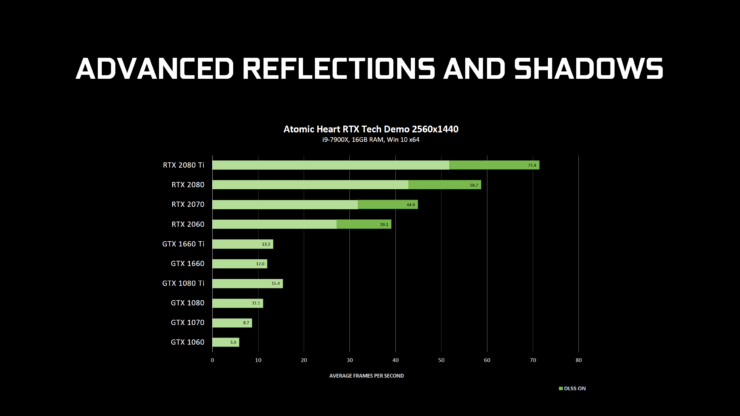 The GeForce RTX family has a dedicated Tensor and RT core design which allows them to run ray tracing 2-3x faster over traditional rendering methods of the GeForce GTX lineup. We discussed this in detail over here. Now with this driver, GeForce GTX class graphics cards would be able to execute the ray tracing instructions on traditional shader cores, but won’t be as fast as their RTX based successor. This is highlighted in the various performance charts that NVIDIA shared. 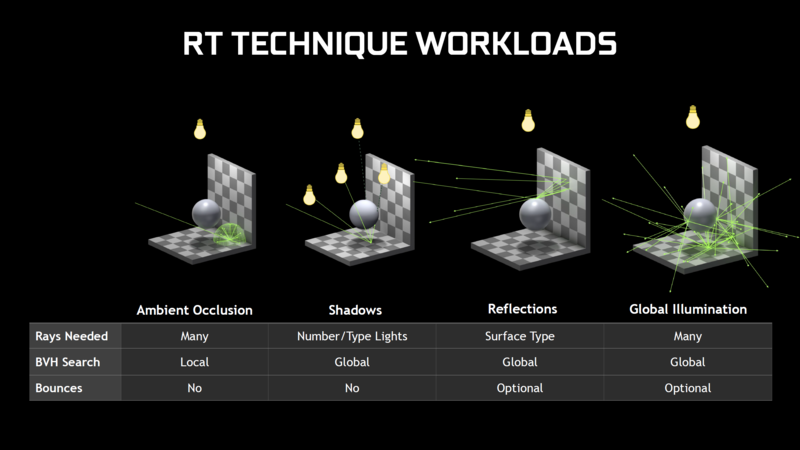 According to NVIDIA, there are several techniques of doing ray tracing and the performance impact of each technique depends on a few aspects. All AAA titles that have released to date (Shadow of The Tomb Raider, Battlefield V, Metro Exodus) rely on a single technique. Battlefield V makes use of ray tracing reflections, Metro Exodus makes use of Global Illumination and Ambient Occlusion while Shadow of The Tomb Raider uses Shadows. The performance cost of having all these features running at once would be too big to make them a worthwhile option in gaming titles right now and I think it’s better to wait for a generation or two until Ray Tracing performance gets there. 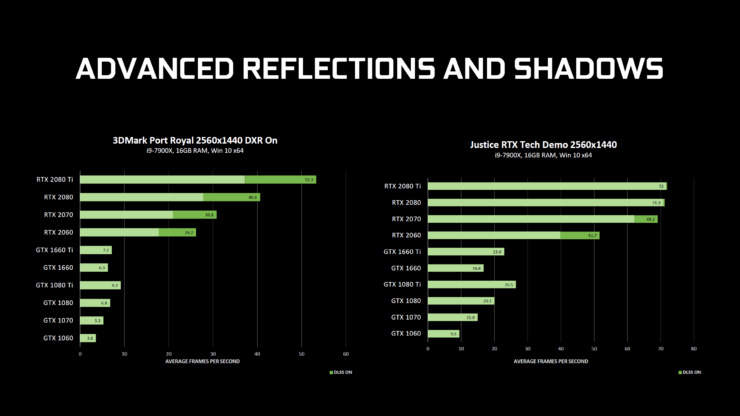 Justice tech demo – Justice tech demo hails from China, and features ray traced reflections, shadows, and NVIDIA DLSS technology. It is the first time that real-time ray tracing has been used for caustics. The advanced features are already witnessed in 3DMark Port Royal which is a very GPU intensive benchmark. 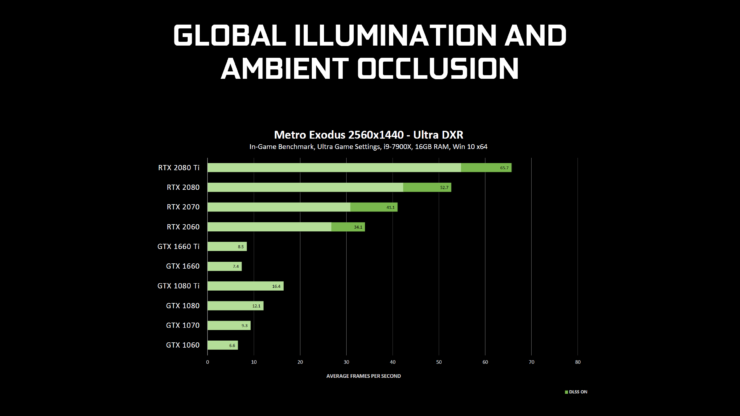 According to NVIDIA, Ambient Occlusion and Global Illumination are the most expensive techniques as they require lots of rays. Shadows and Reflections are performance heavy too but they mostly depend on the surface type and the number/type of lights featured in the scene. That can be adjusted by the game developer for optimization purposes and is something we have recently seen happen with Battlefield V in the latest update. 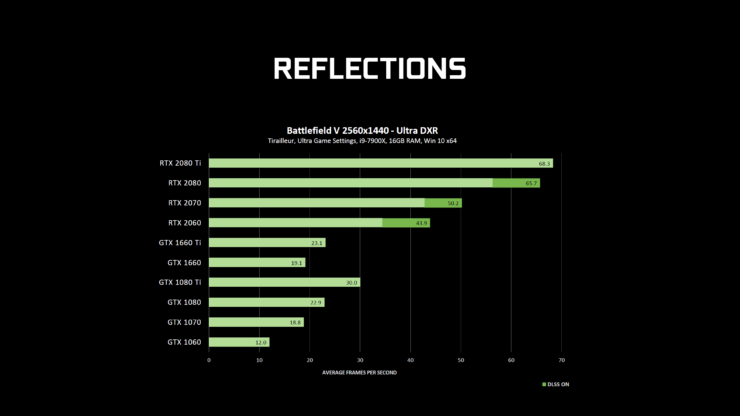 As you can see in the performance charts, the GeForce RTX cards provide a pretty massive RTX acceleration in a broad range of scenarios. That’s all due to their RTX specific GPU architectural enhancements. 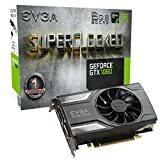 At the same time, you can also see that the GeForce GTX 1660 Ti is almost as fast as the GTX 1080 despite having lower compute horsepower. 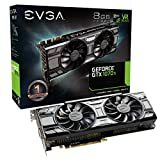 The reason NVIDIA states is that the GeForce 16 series cards with Turing GPU architecture can utilize both Floating Point and Integer cores for ray tracing rendering since it has a lot to do with integer maths and even though they don’t feature RT cores or Tensor cores, they can still deliver better performance due to such GPU side upgrades. 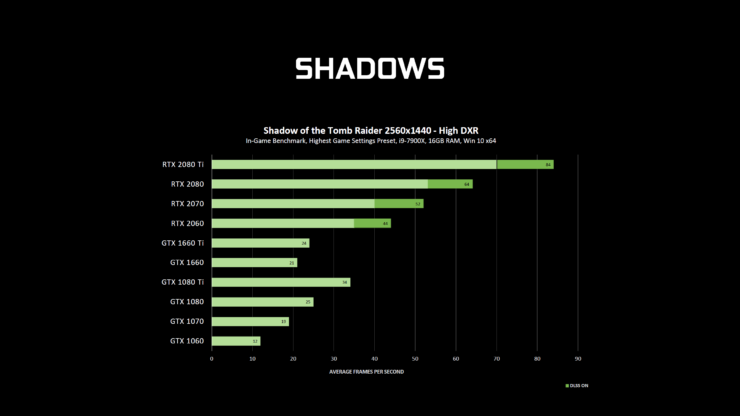 You can also note that the only card that was able to deliver over 30 FPS at 1440p in a single title, Shadow of The Tomb Raider, was the GTX 1080 Ti which averaged around 34 FPS. This matched the RTX 2060 without DLSS but I think the resolution and settings are something you should consider when running RTX titles on non-RTX cards. 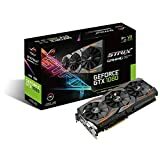 I believe that 1080p would be a sweet spot but only for those who want to try the feature to see the difference and to assess whether getting an RTX card is worth it or not. With this driver, now you can test RTX titles on non-RTX cards and look out for our testing on more sensible resolution and settings out soon!